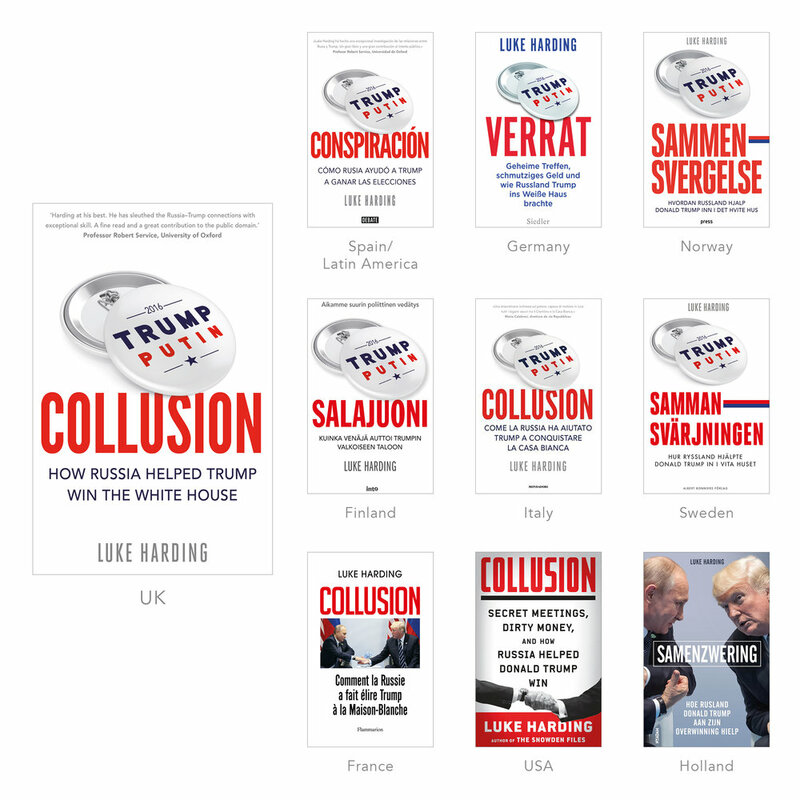 Collusion: How Russia Helped Trump Win the White House, the newest work of non-fiction from award-winning journalist, Luke Harding, is published today by Guardian Faber, as well as by nine other publishers across the globe. Collusion is 'the inside story of how a former British spy was hired to investigate Russia’s influence on Trump – and uncovered explosive evidence that Moscow had been cultivating Trump for years'. The book is set to be published simultaneously by Vintage (USA), Into Kustannus (Finland), Flammarion (France), Penguin Random House Germany, Nieuw Amsterdam (Holland), Mondadori (Italy), Penguin Random House Spain, Bonniers (Sweden) and Forlaget Press (Norway). Foreign rights are handled by Susanna Lea Associates. Collusion is the first book on the topic and an invaluable read for anyone seeking to understand the Trump-Russia scandal. From today there will be press coverage around the world including interviews and serial running in major newspapers such as The Guardian, El Pais, La Repubblica and Stern. It is a fast-paced, riveting, up-to-the-minute overview of the momentous events of the past year and reads like a le Carré novel. Get hold of a copy here.